A photo of the Samsung Galaxy Note9‘s retail box leaks online. The image includes key details such as specs and features. 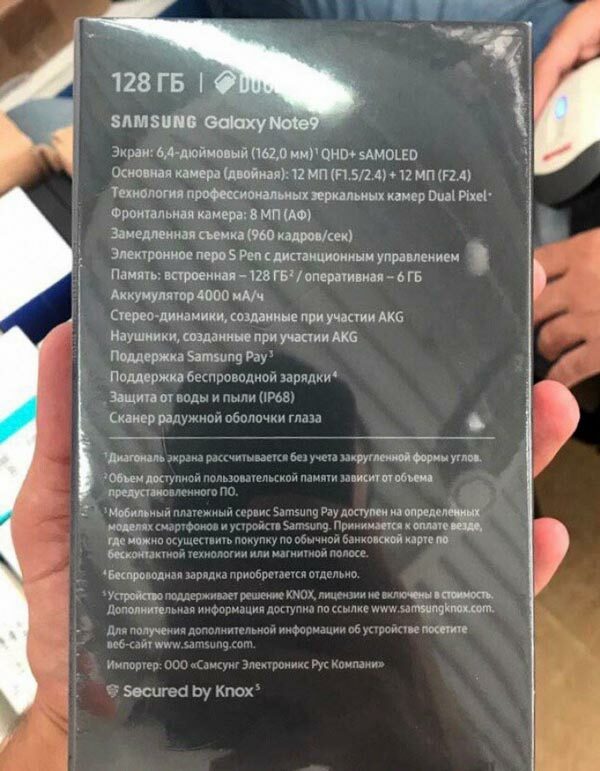 The official retail box of the Galaxy Note9 for the Russia market has leaked. This time, it shows details of the flagship’s specs and features. According to the photo, the Galaxy Note9 will come with a 6.4-inch Quad HD+ Super AMOLED display with 6GB RAM, 128GB of storage, and a 4,000 mAh battery. The phone’s rear cameras will have a similar configuration as the Galaxy S9+‘s setup of 12MP + 12MP dual module. The main lens will have a Dual Aperture f/1.5 + f/2.4 functionality with the secondary one having f/2.4 aperture. It will support Dual Pixel PDAF, and record super slow-motion videos in 960fps. Front camera looks to be 8MP. 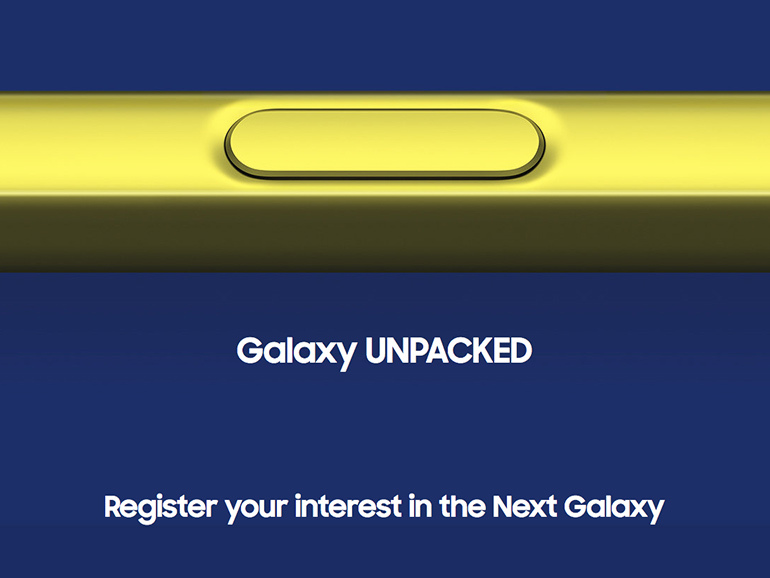 The Galaxy Note9 also boasts an S Pen remote functionality, stereo speakers and earphones designed and tuned by AKG, a fingerprint sensor, an iris scanner, and an IP68 certification. As with all leaks, we advise everyone to take this with a grain of salt. Although it looks legit, things could change. We’ll find out this week when the handset launches globally.